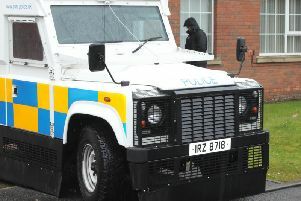 Around 500 cannabis plants were found in a Portadown house on Tuesday, Craigavon Magistrates Court heard today (Wednesday). A Vietnamese man, Phi Chien Nguyen (48), no fixed abode, was charged with cultivating cannabis at 11 Selshion Parade, Portadown, on September 15. He was also charged with unlawful possession of cannabis, having the drug with intent to supply and dishonestly diverting electricity at Selshion Parade. A detective sergeant believed he could connect the defendant to the charges. He said there were around 80 mature plants and 420 small plants in the house. No application was made for bail and Nguyen was remanded in custody to appear on videolink at Craigavon on October 9. Applying for legal aid his solicitor said he had no fixed abode and no family ties within the jurisdiction so will be in custody for the foreseeable future.